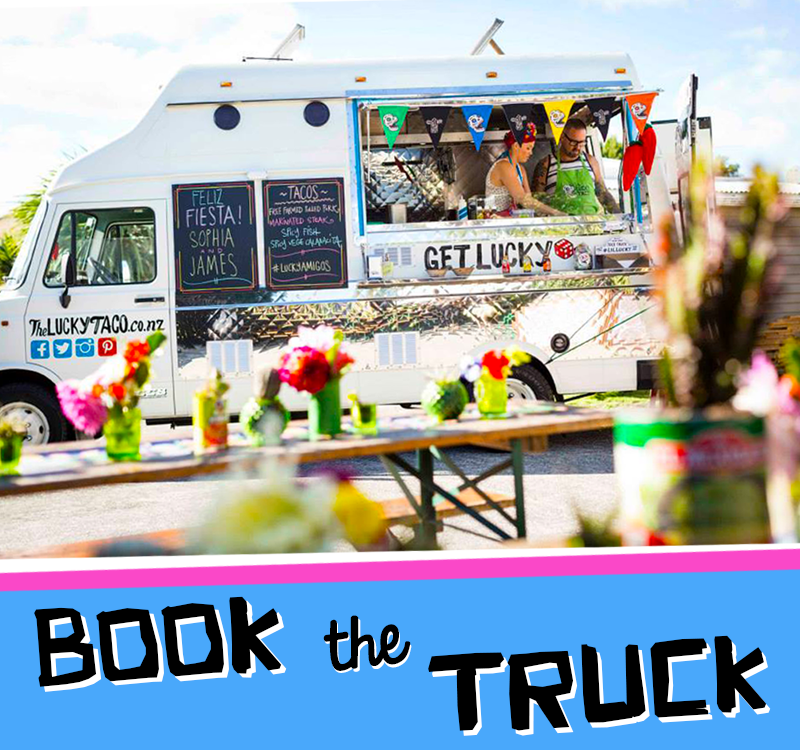 Established in 2013, The Lucky Taco food truck is the spicy brainchild of husband and wife team, Sarah & Otis Frizzell. 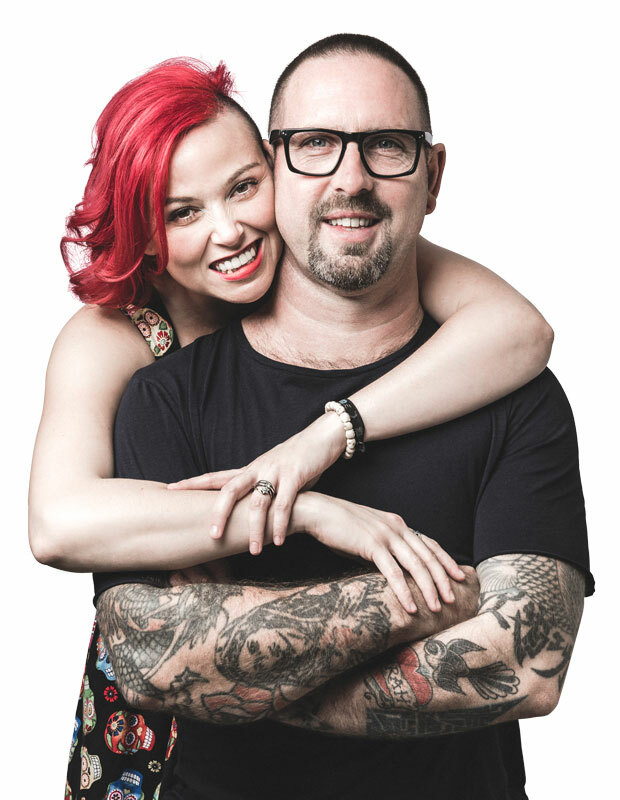 Besotted with tacos and after a love affair with food trucks during their honeymoon to LA & Mexico in 2011, the pair set about to give keen New Zealanders a taste of the real deal - fresh, tasty and authentic soft shell tacos, served from a glittering, shiny taco truck. You guys were awesome on Saturday! Everyone loved it! Thank you so much! Amazing tacos! Thank you both so much! Lots of comments about how great the tacos were. Love The Lucky Taco! Fresh, flavoursome, delicious & spicy (only if you like it that way!) all served with a huge enthusiastic smile with a side of genuine happiness & passion from the team. A new addiction for Auckland! Hi Sarah and Otis, Thank you for serving up some incredible tacos last night! We had the Medium Size Bach box with chicken & steak last night....that's 24 Tacos for 5 people...demolished it and everyone raved about how it was the best Tacos they've ever had, fresh, delicious & just plain nom noms...I just nodded and smiled...good to share the Lucky Taco love! BEST TACOS EVEEEEERRR! Really fresh and delicious, and made by an amazing pair of humans who put all their heart and soul straight into that succulent marinated steak and slow roasted pork. The best fast, cheap, healthy and deliciously finger licking good eats in Auckland. DO IT! 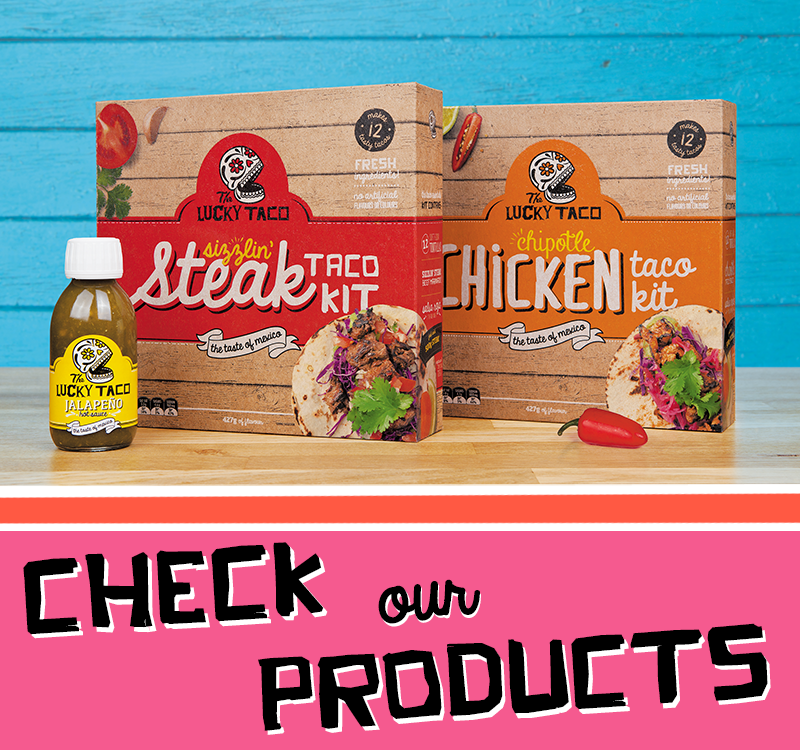 Best meal kits on the market! Thanks you sooooo much for Sat night. Both you and Otis and the Taco Truck were fantastic. Totally made the party, both food and atmosphere-wise! …You guys were so professional and the food was like a work of art! Hi Sarah, Thank you so so much for Saturday Night. The food was amazing and everyone was talking about it that night & yesterday! Thank you for your wonderful meal kit on Sunday it was a winner on Mother’s Day! BEST TACOS EVER. No exaggeration. And bonus the team are so lovely as well! That was a really great lunch on Saturday, nice flavours, concept and service-everyone was wrapped with what you provided. Good memories from for all. Best wishes and thanks again to the both of you. Hey Sarah, just wanted to let you know, to DIE for tacos tonight! Hope you enjoyed your fishing! Love love all about you guys! 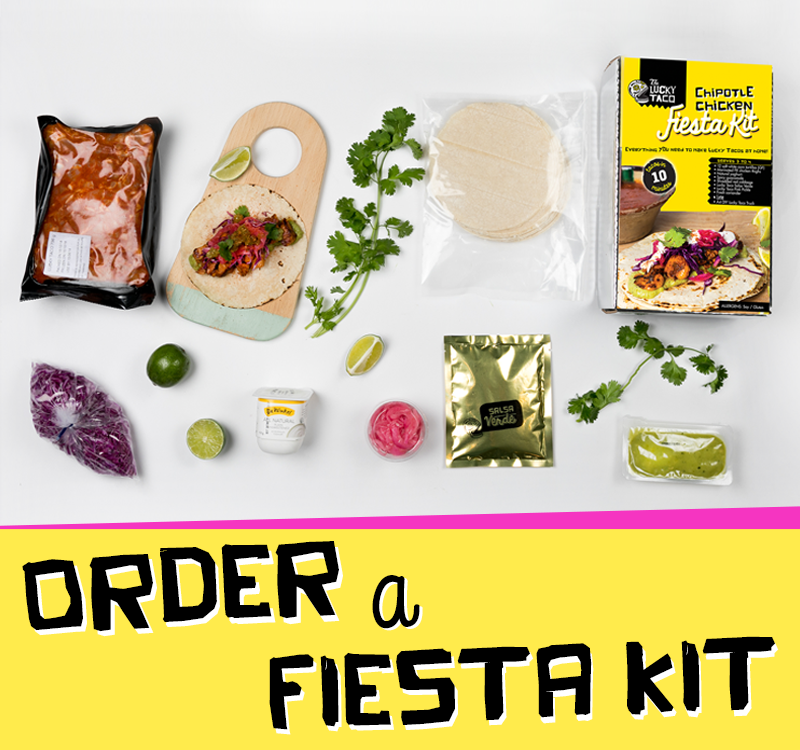 So … we just had our Fiesta pack and it was absolutely amazing. It arrived this morning without any problems and we can’t wait to have our next one! OMG that was SO good, those condiments, that tenderness of the steak, those authentic flavours! Looking forward to trying the chicken! Thank you The Lucky Taco. Such good food & the best service! You guys are awesome!! !